First created in the mid 1990's, the Town of Binghamton's youth tackle football program has saw thousands of children make their way to the home field of Jackson Park in Binghamton, eager to play the sport they and their parents held dearly. 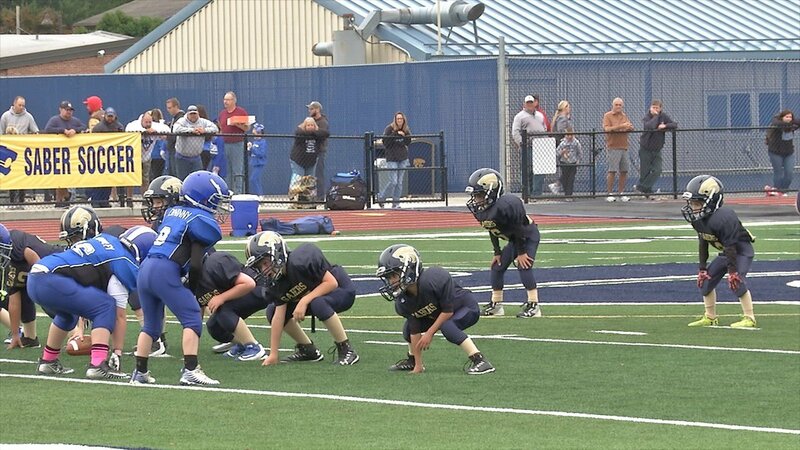 Sunday, September 9, 2018, marked the beginning of a new chapter for one of the youth tackle football teams, the Susquehanna Valley Junior Sabers. 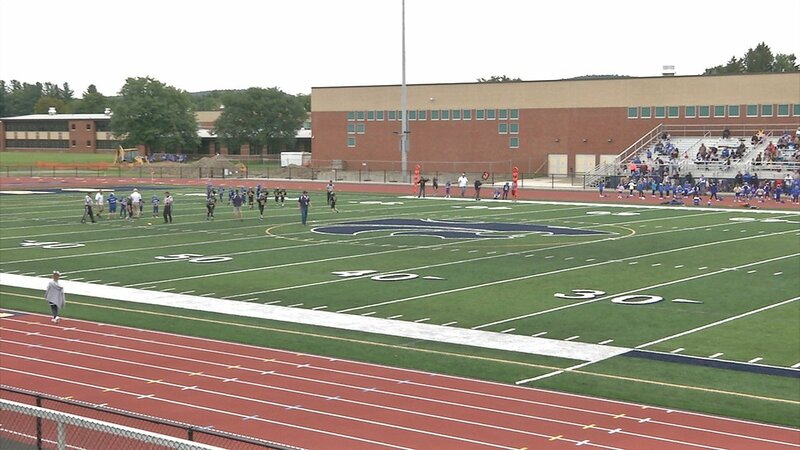 It was the first day, the first time, the Jr. Sabers took to their new home field at Susquehanna Valley Sabers Stadium located at the SV High School. Now, going from grass to a newly created turf field, these youths are taking the stage in front of their hometown. And it feels like they're "pros." "The [kids] couldn't believe the field. They feel like they're professionals, they're really excited," said Justin Parker, Jr. Sabers (9-10) Offensive Coordinator. Three divisions make up the Jr. Sabers program; Division C 7-8 years old, Division B 9-10 years old, and Division A 11-12 years old. Last year, the invitation to come home and play was extended by SV Superintendent Roland Doig, and yesterday SV Youth Football Commissioner Christopher Streno took him up on the deal. "We couldn't be more excited to be here. Many of us grew up here in SV and some of us played on this field," said Christopher Streno. "It's nostalgic to be here and our kids are already having a great time." Streno added it was bittersweet to leave Jackson Park, the field that his children have grown up on, but seeing his children play at the same location that he played at many years ago made it feel like a "family reunion." And with a varsity high school football team currently sitting 2-0 in Class C, the SV youth program said they are looking at this year's group of high school Sabers with pride. Knowing many of the varsity Sabers first played on the SV Jr Sabers, Streno and Doig said it's proof that the youth program is successfully working to bring about the next generation of high school football.